It has 2 DNS records, this-domain-for-sale.com, and ns.buydomains.com. It is hosted by Internap Network Services Corporation (Georgia, Atlanta,) using Apache/2 web server. 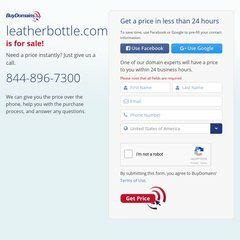 Leatherbottle.com's IP address is 64.95.64.195.